A.R. 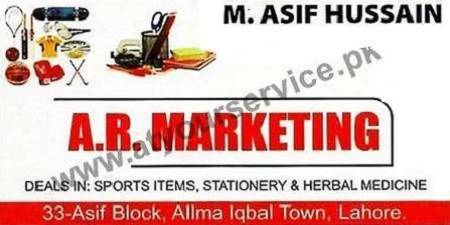 Marketing is located in Asif Block Allama Iqbal Town, Lahore. We deal in Sports Items, Stationery & Herbal Medicine.